Is AI a serendipity that leads us to a brighter future, or a threat that could spell the end of human civilization? Such debate might seem commonplace during lunch breaks at Silicon Valley. However, professional players of Go, the Chinese strategy game that is the world’s oldest continuously played board game and arguably the most complex one, might agree with both sides. In the last two years, AlphaGo, a go-playing computer program developed by Google Deepmind, initially destroyed the last defense of human intelligence, and then refreshed the board game with its media influence and strong algorithm. In March 2016, when AlphaGo challenged the 18-time Go world champion Lee Sedol, few professional players took AlphaGo seriously. 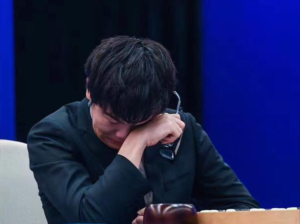 Even after AlphaGo won the match by 4-1, doubts of its inventive style kept being heard, until AlphaGo proved itself in 2017 by sweeping 50 matches in a row against top pros on the Internet, and months later beat Ke Jie, who then ranked no.1 in China. That day when he lost the match, Ke wept like a kid. Just as Asian top pros worried if it was the end of the world, the game of Go gained great publicity in the western world. Two months after Lee Sedol lost, Stephanie Yin founded the New York Institute of Go, located in Little Neck, Queens. “Losing to AI was an unexpected nightmare to professional Go players, but AlphaGo also made Go a hot topic on mass media and invite more learners in the US,” said Yin, who has taught more than 300 American kids to play Go in the last 2 years. Every Sunday, more than thirty kids around the age of 10 spend their entire afternoon in Yin’s classroom. Quietly calculating moves, the kids contemplate the black and white stones on the 19×19 game board, their ears turning red with frustration often. 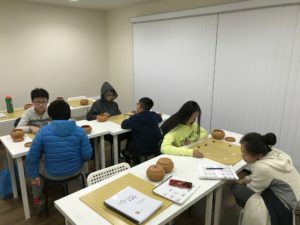 Although most of the students are Chinese American, a few are white or interracial, and Yin offers online Go courses to dozens of non-Asians across the country. The success of AlphaGo inspired many other developers, who made featured improvements in the algorithm of AlphaGo. There are now 10 other go-playing programs that have exceeded professional strength, including Fine-Art, developed by China’s Tencent, and ELF, by Facebook. With a more efficient algorithm, AI developed new ideas and strategies that significantly changed how Go is played. Many gambits in the game of Go, known as “joseki”, were regarded unassailable routines and followed for hundreds of years. But after AI’s test, some josekis were totally overthrown, shown on AlphaGo’s official website. “[AI’s creative moves] help professional players to broaden their mind, and tell us to be critical of the old routines,” said Yin. Chess players credit AlphaZero, the latest of DeepMind’s game playing systems, for starting to have a similar effect on the game. 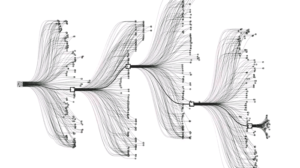 The unconventional moves and strategy of the AI play, where it has been known to sacrifice high-value pieces early on in a game, have forced traditional chess players to take more risks in their game and rethink hundreds of years of strategy. 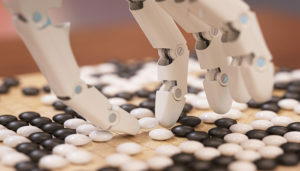 Now, AI has become an important reference to professional Go players, who review every game they played with the help of AI and diagnose with their weaknesses. If you look at the recent games of top pros, you’ll find them quite close to AI’s style: intense, direct, and intuitive. Deepmind, the developing team of AlphaGo, has moved on to study more complicated tasks such as economy prediction and health surveillance.